I've been to Beating Time Concerts and attended a Business Challenge Day. The potential of the men I met was humbling. I'm committed to helping realise that potential, by making their businesses work, encouraging KPMG, our clients and suppliers to offer jobs and become customers of the businesses they develop. The UK Economy cannot afford to lose 80,000 people from its workforce. Restart is a self-employment programme for people serving prison sentences. It is delivered in prisons and supported post release, and helps ex-offenders to find, or create, work. The project is a collaboration between three organisations with a 20-year track record of working in prisons; Enterprise Exchange, Enterprise Inspiration and Beating Time. Restart is a multi-tool approach, believing that society needs to find multi-faceted solutions to the re-offending crisis. The programme has three key elements that take place inside prison, and three that take place upon release. Inside, prison participants are first inspired to 'make a plan', this involves a 6-day start-up course supported by KPMG mentors. Second, they take part in a continuous choir and performance programme, enabling support and development on a weekly basis. Finally, they are assigned a dedicated coach and support worker – to help them to overcome mental and practical hurdles to rebuilding life on release. The post release support programme also contains three elements. The first is to support the man immediately on release – the scheme has its own support worker. The second is to support the plan, providing specialist business and financial advice from professionals with experience in growing small businesses set up by people with traditional barriers to employment. The third is to finance the plan, providing a start-up fund in the form of small grants to individuals to start their own businesses. 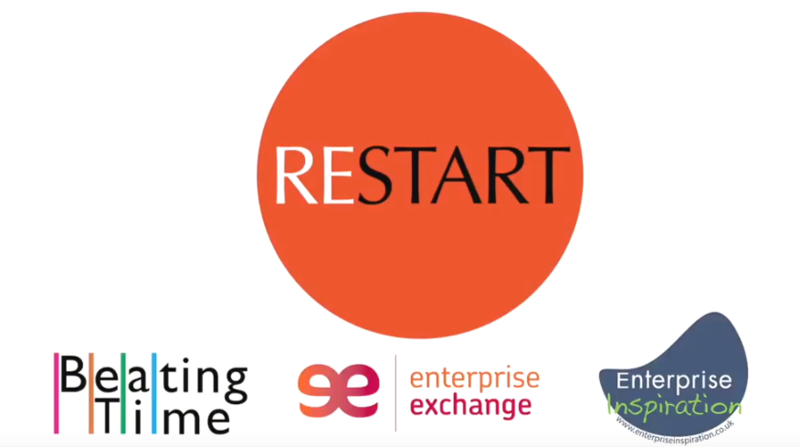 For those who do not want to become self-employed Restart also has a network of employers and partners it works with to open employment opportunities for Restarters. I have known people develop business plans in the early years of long sentences and completely change the way they use their time in prison. Restart's approach makes sense given that the prison population is more entrepreneurial than the general population, a report by the Centre for Entrepreneurs estimate that 79% of prisoners are interested in starting a business – compared to around 40% of the UK population. Restart has a strong track record in this work with 40 businesses created to date. Restart offers hope, improves self-perception, inspires belief, creates economic opportunities and develops support networks. Based on Government figures the average individual cost of reoffending is almost £300,000, whereas the restart programme costs only £3000 per person, demonstrating that investment now can have significant impacts in the future. Restart is a practical response to restricted employment opportunities for people coming out of prison – if you can't find work MAKE IT. Heather Philips – Founder, Beating Time. Ji spent a year in prison for drug related offences. Enterprise Inspiration met him when he was on probation. He had significant experience in catering and sales. 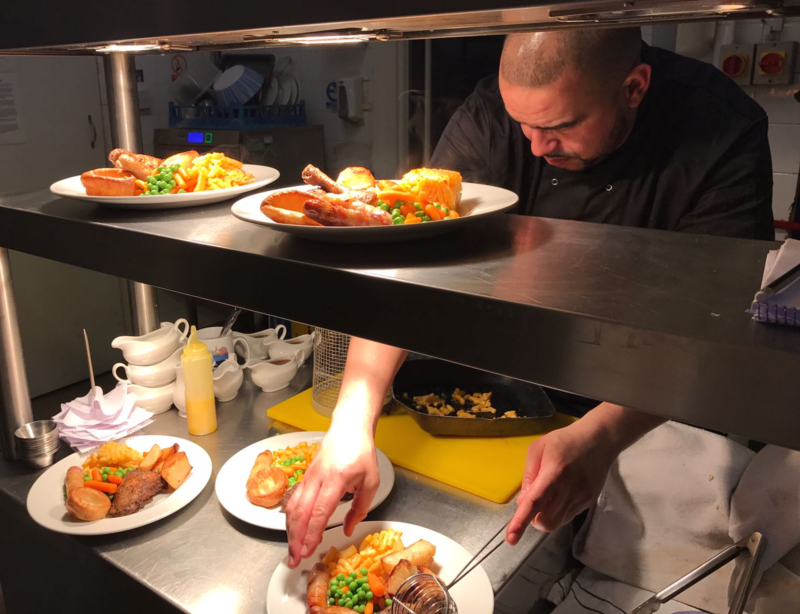 He is now running a kitchen in a well-run pub on a self-employed basis. Small informal loans enabled him to produce marketing materials and rent the kitchen. Although not yet in profit the prospects are good for 2018. Ji knows he has a trusted source of advice and is growing in confidence. He is still on probation and benefits. With Restarts help he will register his business this year. He keeps good records, knows where he stands with tax and manages cash well. A small amount of money and a bit of support was all it took to motivate Ji to put in the hard work that will make his business succeed.